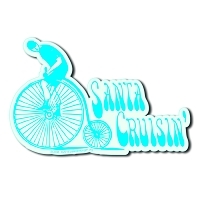 Why be stuck in traffic when you can just cruise on a bike? 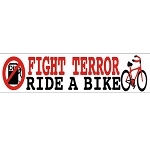 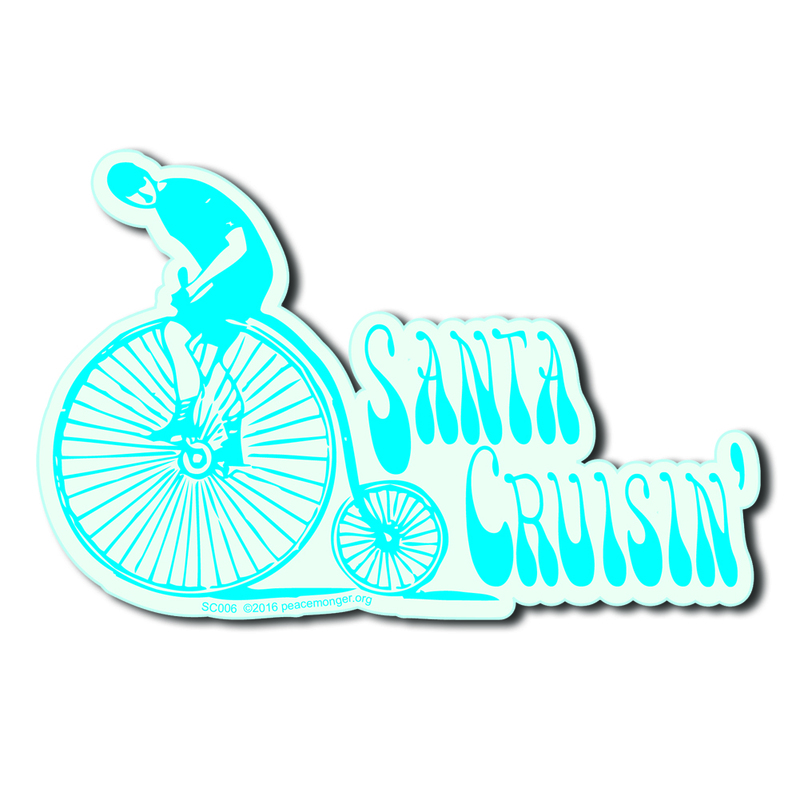 This sticker features a hipster dude on an old-timey bicycle with the words "Santa Cruisin'". 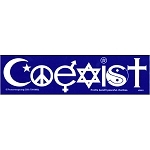 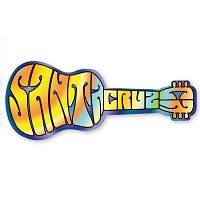 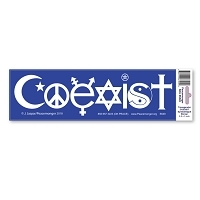 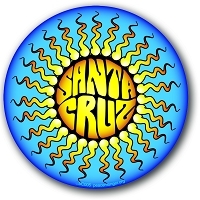 This sticker features a graphical psychedelic sun with the words "Santa Cruz"